The Apple Support app for the iPhone and iPad is now available in the U.S. App Store, making it easier for Apple product users to schedule Genius Bar appointments and get other help. 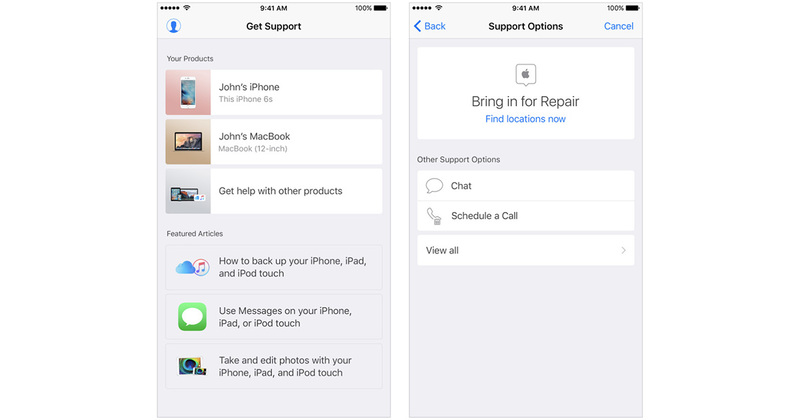 The app lists all of the Apple products registered to you, offers tips and suggestions, schedule repair appointments, schedule support calls, and more. The app is a free download at the App Store and in addition to helping you out it’s a shocking reminder for how may Apple products we’re buying.